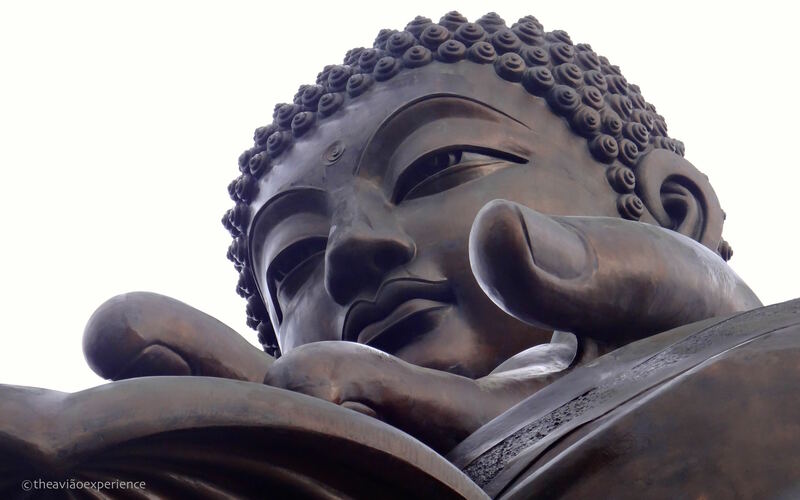 The Big Buddha quietly sits on a lotus throne on top of Lantau Island in Hong Kong welcome visitors from all over the world embracing their spirits. Facing north, he appears serene and dignified. One hand is raised, representing the removal of affliction while the other hand rests on his lap.